Lhasa is the holy city of Tibet. It represents the sacredness. Religious atmosphere fills everywhere. For example, you can see numerous devout pilgrims worshipping in front of Jokhang Temple. And pilgrims circle around Barkhor Street bending their knees. As for Potala Palace, it is a must-see attraction in Lhasa. As the highest palace in the world, it is also a World Cultural Heritage recognized by UNESCO. You can see exquisite Buddhist frescos and statues inside. It is an amazing place to visit. 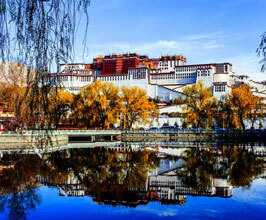 Read more on One-day Lhasa Group Tour. Beside attractions in Lhasa, you can visit both Drepung Monastery and Sera Monastery close to the city. We put them in a day. They are famous Gelugpa monasteries. Read more on Lhasa Group Tour, Drepung and Sera. Moreover, you can view Lake Namtso and Lake Yamdrok for one day or two days. They are holy lakes in Tibet. The lake water is so blue and clear. By watching them, you will forget everything and feels like in heaven. Read more on Lake Namtso Group Tour and Lake Yamdrok Group Tour. Also, you can add Shigatse, Gyantse, Tsetang and Nyingchi to your Lhasa Group Tours. We have 2-3 days group tours for these cities from Lhasa. They all have different features. For example, Shigatse is second largest city in Tibet. And famous Gelugpa Tashilhunpo Monastery locates near it. For traditional Tibetan taste, you can visit Gyantse Old Town. Also you cannot miss Palkor Chode in Gyantse. In addition, for people who want to explore the origin of Yarlung Dynasty, Tsetang is your best choice. As the cradle of Tibetan culture, there are much more to visit in Tsetang. 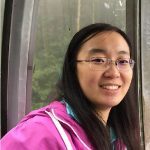 As for Nyingchi, it has relatively low altitudes. Vast lands of forests lie here. So it also has the name of “Switzerland of Tibet”. Also, the holy lake of Nyingma, Lake Draksumtso locates near Nyginchi. Read more on Lhasa Group Tours. Our Lhasa group tours also include village group tours around Lhasa. These group tours are for people who want to explore the authentic Tibetan village’s scenery and cultural landscape. You can take a close look at REAL Tibetan village and know their daily lives. Also, warm-hearted villagers will invite you for meals and treat you with local butter tea. Read more on Lhasa Village Group Tours. For people who like trekking, Lhasa around Trekking Group Tours are just for you! Since there are many popular trekking routes around Lhasa, you can choose the one you like. Among them, Ganden to Samye Trekking Group Tour is suitable for people who want to explore Tibetan religious culture. Tsurphu to Yangpachen Trekking Group Tour is easier than Ganden to Samye for shorter distances. Moreover, for trekkers who want to see the turquoise holy lake, Lake Yamdrok, you can join in Lake Yamdrok Trekking Group Tour. 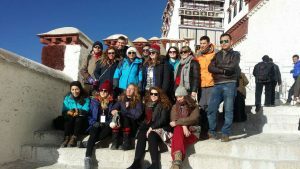 Read more on Lhasa around Trekking Group Tours. For more Tibet travel blog information, please contact our local Tibet travel agency.